To say the truth, there is nothing much to improvise about the picture. 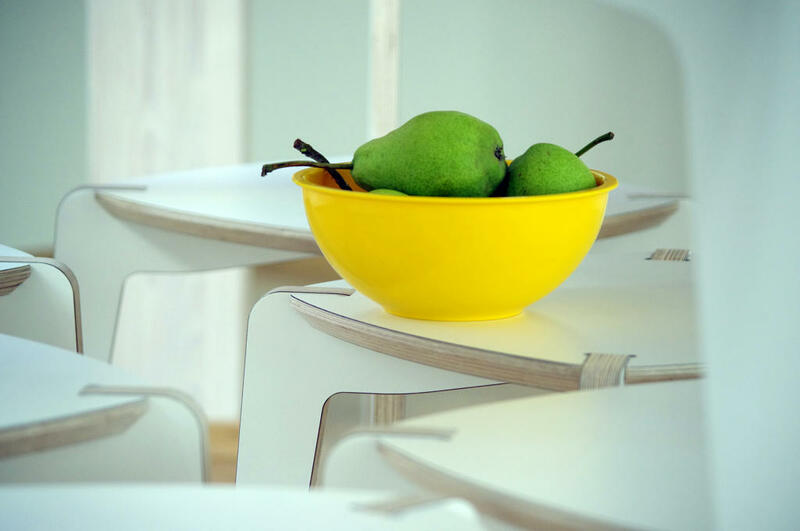 You see quite modern and minimalist white furniture, green pears and a yellow bowl. Yes, you are right, it is a fairly artificial composition, but something makes it sharable, editable and useful for various content tasks. Am I right?